When you first walk into a medical marijuana dispensary, the extensive choices and information can be overwhelming. Many people don't understand the various strains, effects, and benefits of different products; however, there are several factors that patients should consider before selecting a medical marijuana dispensary in Maryland. 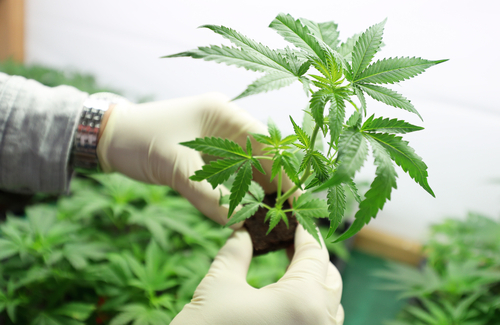 As you are examining different dispensaries, always consider the company's health standards. You want to ensure your products are being created and stored in a clean environment, with proper storage and handling management, as well as a safe source of the product. It is always a good idea to inspect the manufacturer or grower of the marijuana, not only ensuring the quality of the product but also the cleanliness of the growing process. In addition, dispensaries should keep excellent records of transactions and your certification to ensure they are meeting the government standards for type of marijuana, amount sold, birth date of the purchaser, price, and the date of sale. Although these are not necessarily the customer's responsibility, by ensuring your dispensary is following the necessary rules, you can be confident with the service and quality goods they provide. One of the easiest ways to check dispensary product quality is to test products. However, returning marijuana products to the dispensary is prohibited by law, so this method of quality checking can become expensive. If you do the necessary research beforehand, you will be able to better select a product based on the dispensary’s information of strain type, THC level, CBD level, and expected effects of the product. Helpful tools like Leafly or Weedmaps can aid you in finding the best dispensary for your needs. The friendly staff here at Greenhouse Wellness is committed to helping you find the appropriate cannabis product for your needs. Dispensaries are located all across states with legal marijuana; you want to select a dispensary that is closer to you, but that still provides an excellent selection of products. You want to be able to trust your dispensary staff with questions about strains, dosages, and manufacturers. In addition, some dispensaries offer delivery for those who already know the products they need. In general, dispensaries offer a wide range of medical marijuana products. Maryland does not allow edibles to be sold, except for shatter, a peanut-brittle like marijuana product, but patients can find cannabis in dry leaves, balms, creams, oils, and more. After consulting with your doctor and considering your conditions, you should select a method of treatment that is going to best suit your needs. As one of the most inexpensive healthcare treatments, marijuana from a dispensary is around $15 per gram. General illegal weed costs are estimated at around $20 to $30 per gram, while private, home-grown cannabis can be priced at around $10. Although home-grown marijuana is still illegal in Maryland, the dispensary price is still widely affordable and effective against a long list of ailments. After you obtain the certification to use marijuana as a treatment, you can begin to explore the various dispensaries in your area. When searching, remember to keep your personal needs and conditions in mind; many dispensary employees are happy to answer questions you have. Some dispensaries, like Greenhouse Wellness, have registered healthcare professionals on site to help patients develop a treatment plan best suited for their needs. Let us help you get control of your health with reliable, high quality medical cannabis!